Put your arms straight out to the side so that your shoulders are at 90 degrees to your trunk as pictured below. Keep your feet hip width apart or closer. Your trunk should form a straight line from head to knees. 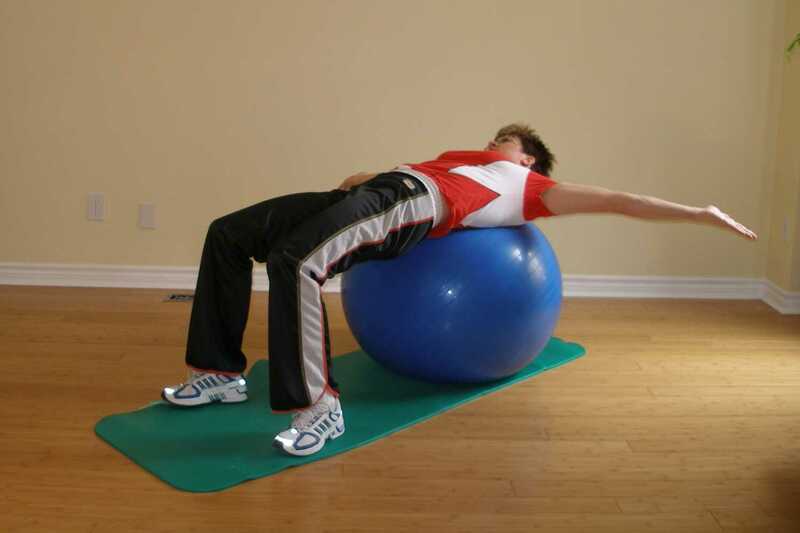 Sway out to one side so that the ball is under one shoulder blade. Then sway back to the other shoulder. Whole trunk, glutes, hips, quads. 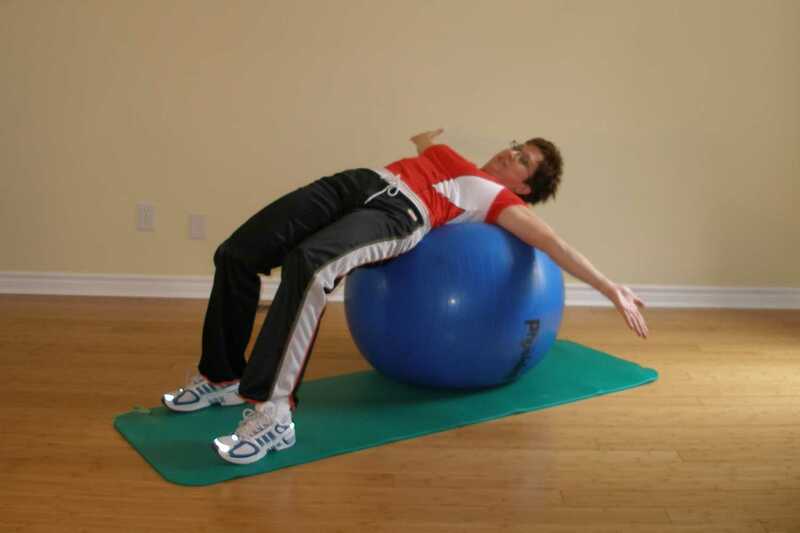 Keep your back straight by engaging your transversus abdominus. This exercise will challenge your balance more as your raise your arms overhead. The ball will move more quickly if it is inflated more.